The mission of the Susan McCormack Center for Student Success in the College of Engineering and Applied Science is to help students develop their full potential by creating a culture of success through active involvement in education and career planning. Have a specific question or issue? Drop us a line to find out more. 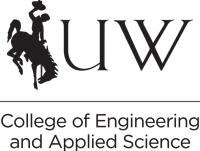 Be sure to watch your UW email for information about Freshman Convocation – a college tradition formally welcoming new students to the college, and providing you with the information you need to have a successful college career.